I wait the entire year for it. I love walking around the mall (which is usually pretty empty at 10:00 a.m. when everyone is fighting over TVs at Walmart and Playstations at Best Buy) and seeing all the Christmas decorations up for the first time. I love feeling less guilty about splurging on clothing I’ve been eyeing for a while. And I love love love finding a good deal on everyday essentials. It takes a long time to hunt for the best Black Friday deals, though, and not everyone has time to window shop until 11:00 p.m. every night for five days in a row. (Whoops.) 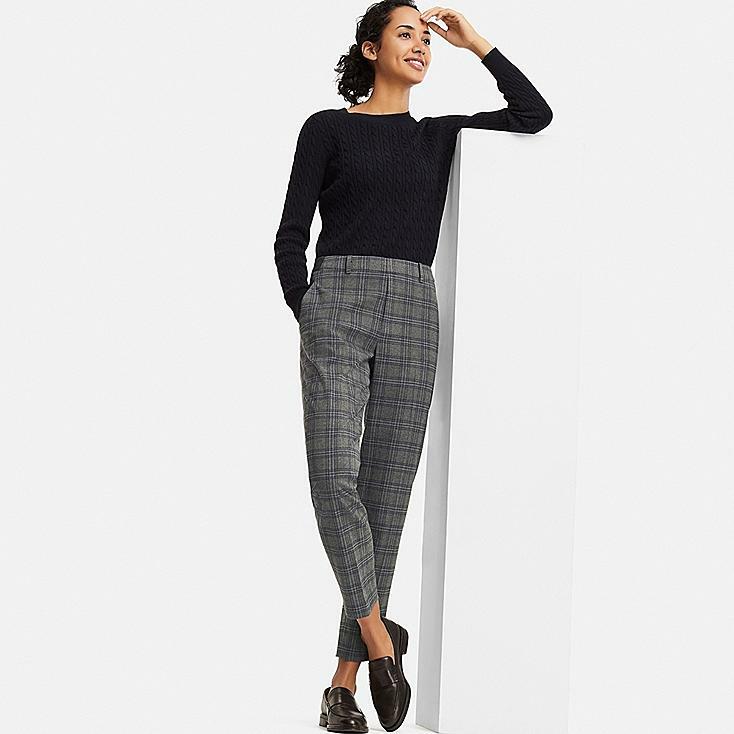 Here, I present my finds for this season: work-wardrobe staples with basics (and a couple of not-so-basics) at varying price points. Keep in mind that some retailers don’t release their prices until Friday, and prices are liable to change at any time. It’s all about the hunt—add the items you love to your shopping cart, then keep an eye out for price drops. When the price is right, go! Quite a few stores are participating in a Black Friday week of sales, meaning the prices are live now. Let’s start from the outside and work our way in, shall we? Not quite gray, not quite lavender, not quite beige—I’m not sure what color this is (Icelandic mineral, says Old Navy’s website), but I want to wear it every day. The 90 percent wool, 10 percent cashmere blend of this coat will make it warm and supremely soft. Some of my highest quality/lowest price pieces are Uniqlo; they stand up over time, especially when they’re this timeless. 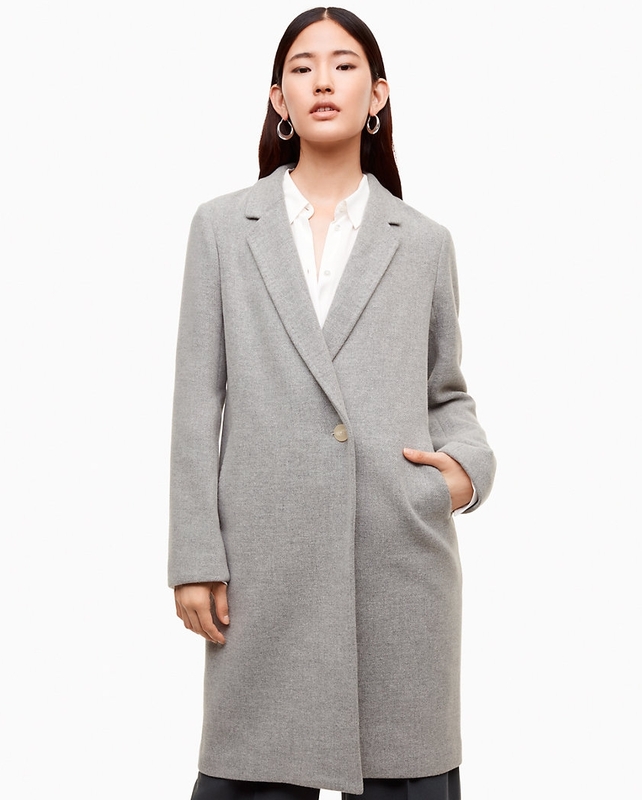 A tried-and true, the Stedman is one of Aritzia's most popular mid-length coats. This one is a wool-cashmere blend, but the style also comes in wool blend and alpaca wool. 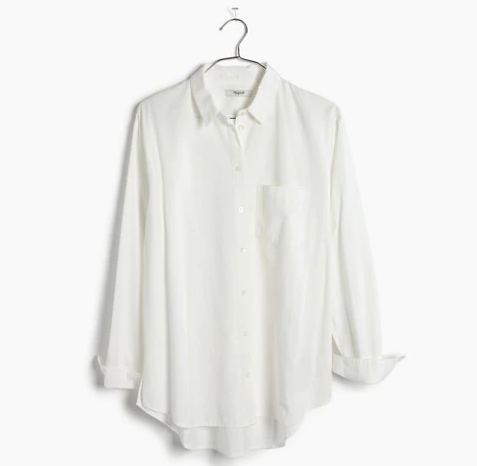 If you’re looking for a button-down at the intersection of casual and chic, this is it. Very cozy. Very Meghan Markle. Can even be monogrammed, if that’s your thing. It’s often the little details that distinguishes designer threads—a classic silhouette with one little flair. In this menswear-inspired top, it comes in the form of a single, large black button at the collar. They’re like a ponte pant, but for fall. 2018 was velvet’s banner year, and with these beauties you can sashay it right into 2019. 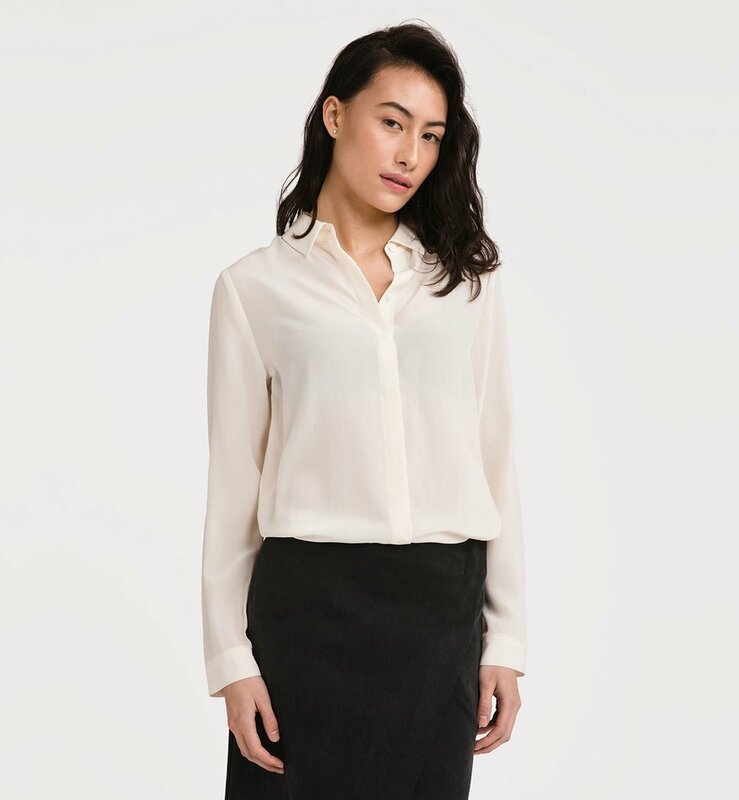 Sleek enough for a casual office—while still being all about the booty. There’s a reason the Wedgie fit is all a-buzz right now. MOTHER denim is made in Los Angeles, which is home to the best wash houses in the States. Vintage-dyed with a split ankle and a high rise, there’s a reason “swoon” is in the name. Camel was everywhere at Fashion Week 2018, and these pumps offer an option for integrating the color into your wardrobe even after you’ve hung your coat on a rack. A classic, black suede pump. Not too high. Not too low. Not a platform made for the club. Marc Fisher is known for modern flair on classic styles, and shoes that are comfortable enough to catch the bus in. Classy, cute and girly—definitely Kate Spade. The kitten heel on these kittens makes them almost-a-flat, with enough of a boost that you’ll walk a little taller into your next client pitch. A little bit country. A little bit rock-and-roll. Wear these on days when a classic black boot just isn’t going to cut it. Dolce Vita makes my favorite shoes—the ones I consistently get compliments on, regardless of the style. These are a little bit taller than a Chelsea boot, for those of us who like an extra lift. Vince is Vince. Always timeless, always sleek, always luxurious. I’m so tempted by these, but in my soggy Seattle winters, they’d be ruined fast. If you live somewhere dry, you have a responsibility to add these to your wardrobe. Christmas bonus came early? Scored a big promotion? Had a rough Q3? 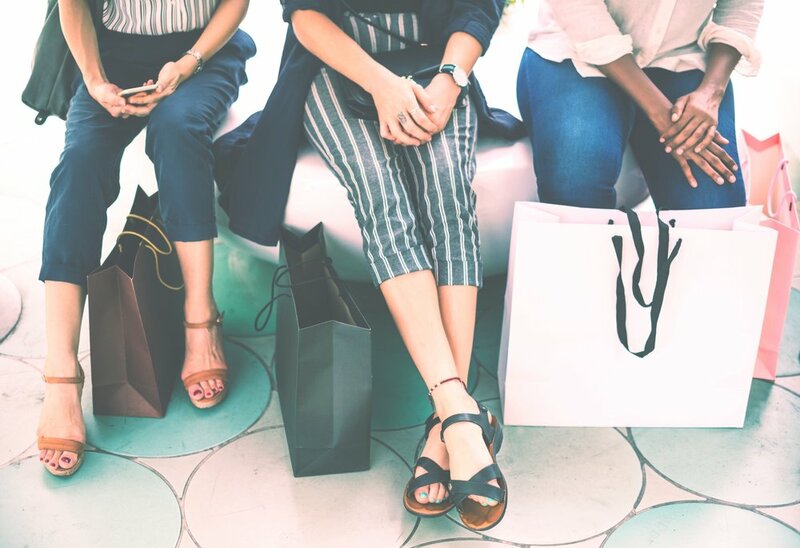 Whatever excuse you give yourself for splurging big on Black Friday, these deals will make the wallet pain a little more palatable. These silk PJs don’t rank as the most expensive item on the list (that’s only $114.50 per half! ), but they are the most expensive item you’ll never wear out of the house. Still, you spend two-thirds of your life sleeping, right? No? Just me? Are they leather? Yes. Are they denim? Yes. I don’t fully understand how, but I love them. Don’t worry—I’m only drooling on my keyboard. Because, why not? At 40 percent off they’re practically paying you to purchase it. Use code “thanksbabe” for 30% off in the BWH SHOP! 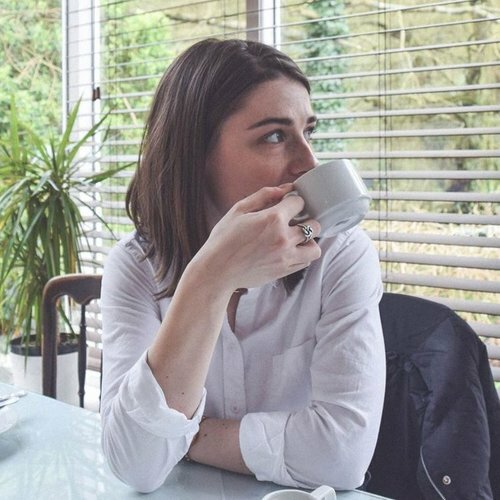 An American transplant by way of Weymouth, England, Heather is our BWH editor-in-chief in addition to working as copy director for an advertising agency where she's responsible for overseeing the quality and communication of clients' copywriting needs. Her focus as an editor has always been about really extraordinary voices, helping bring confidence and clarity to their story, then simply passing them the microphone. She lives in Seattle with her husband, Sean, and their two Australian Shepherd-mixes, Draper and Faye.